My alphabet quilt is finished! 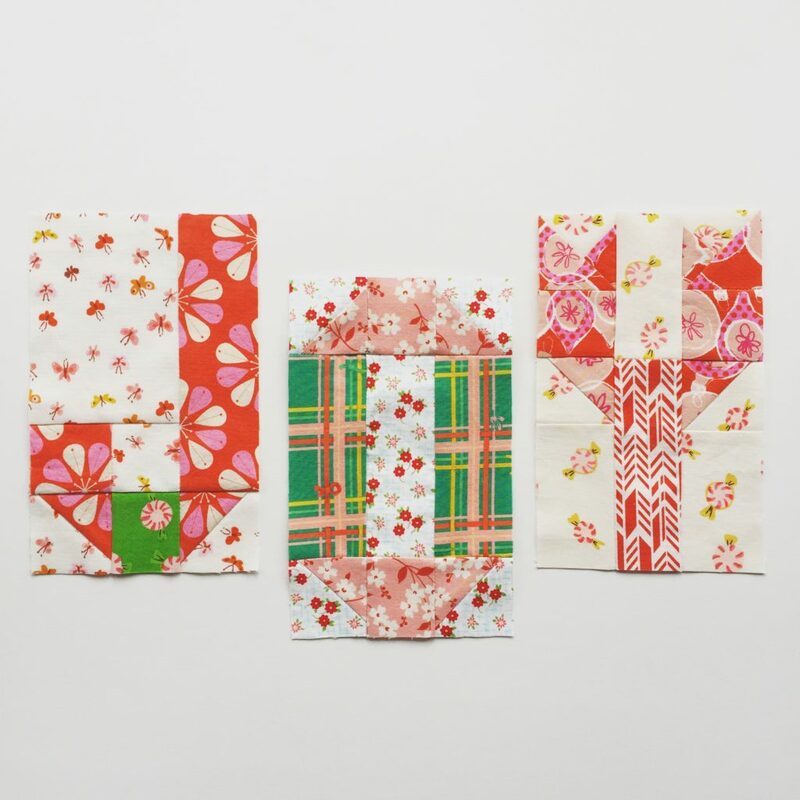 The version below is made with all Kona solids but I’m including some pictures in this post with different ideas for projects you can sew with these letters. Before we get to that though, the pattern details! 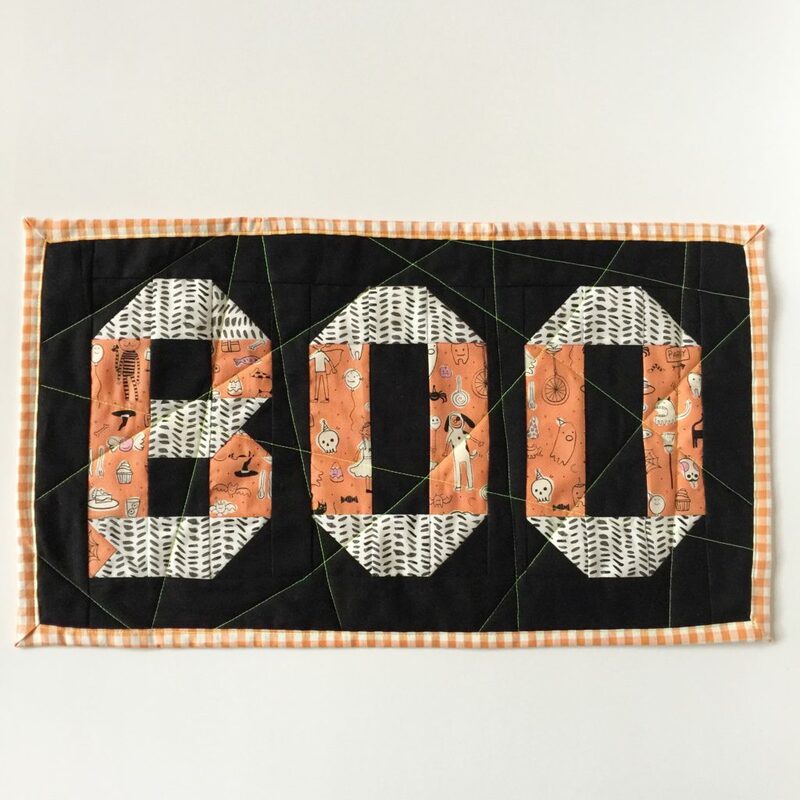 Beginner-friendly pattern using traditional patchwork. No paper piecing or templates. If you are comfortable with half-square triangles you can make this quilt. 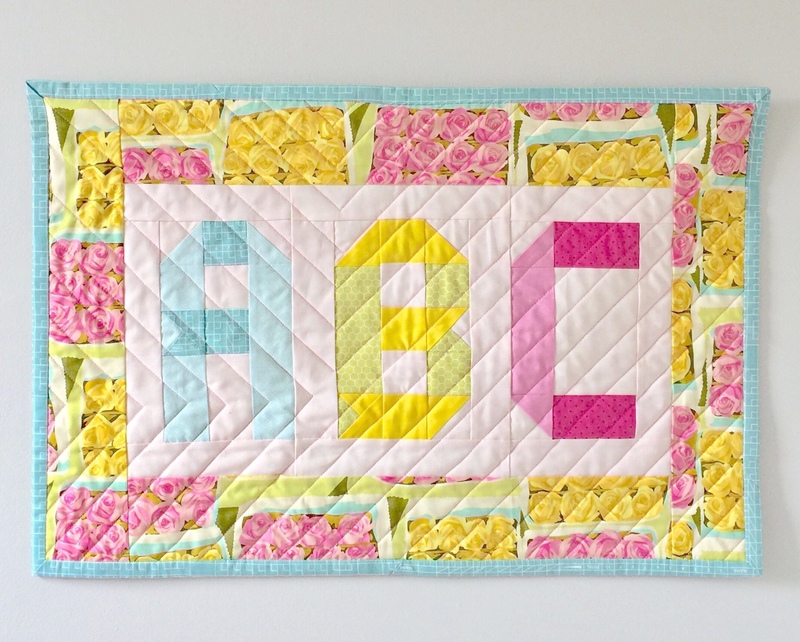 The pattern illustrates how to create a quilt block for each letter of the alphabet, as well as sizing, fabric requirements, and instructions to create a 50″ x 56″ throw quilt. Each letter measures 5″ by 8″. 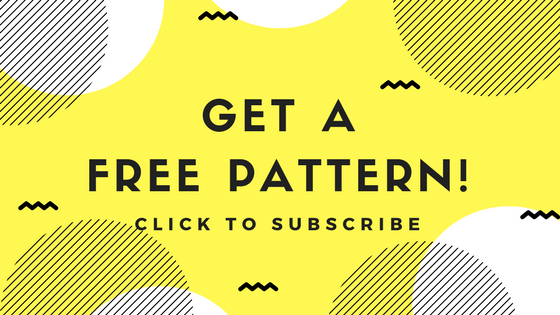 Try the pattern for free first! 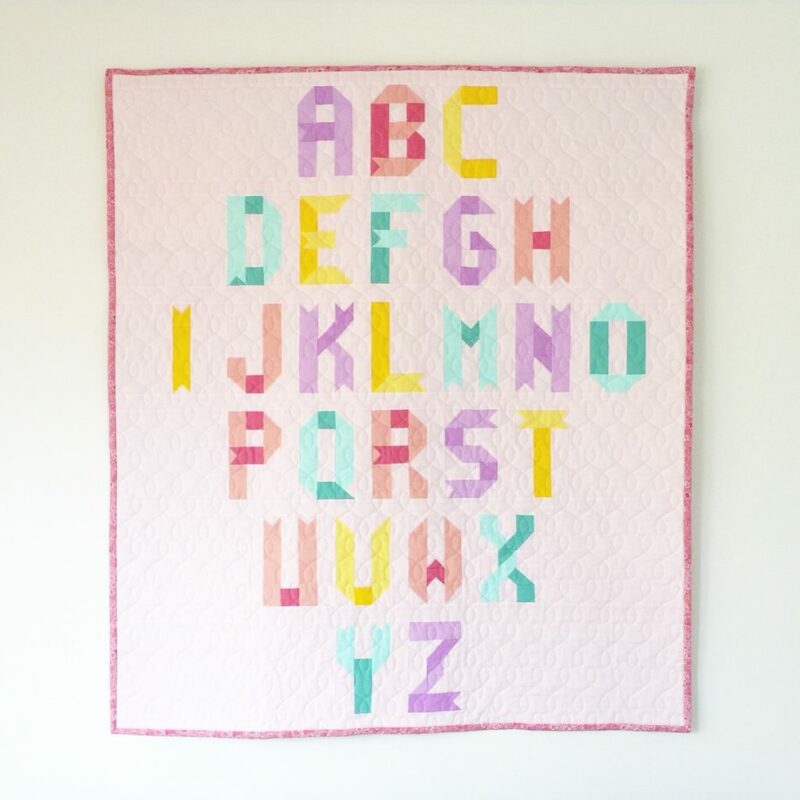 Just click here to download the pattern for the letters ABC (you’ll also get a coupon for a discount on the pattern for the full alphabet). Now, onto some other projects. 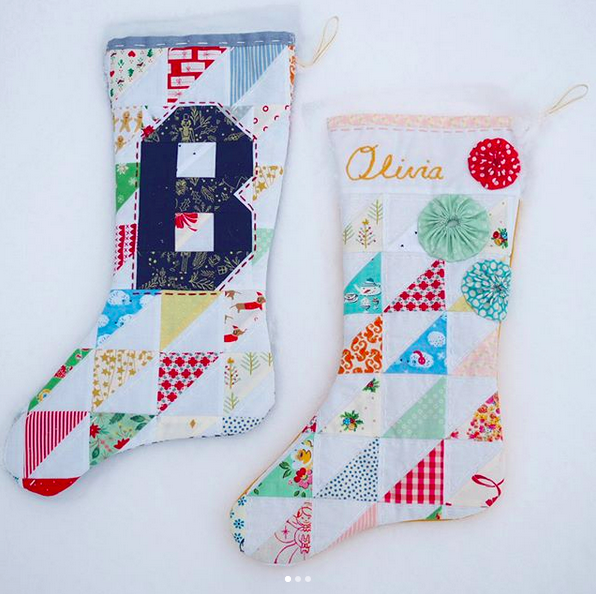 First – and I’d love to pretend this was intentional on my part – but did you know that the Ribbon Letter blocks just happen to be the perfect size for stockings? 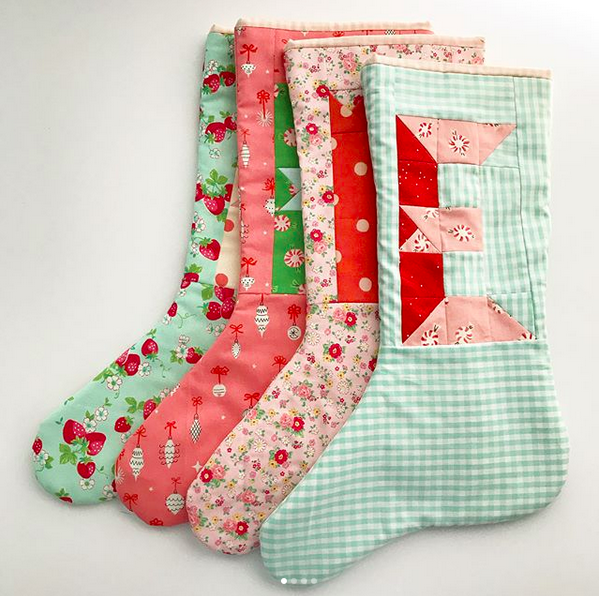 Look at these adorable stockings made by Kjerste (@rosebudandpenny), top, and Stephanie (@sssews28), bottom. 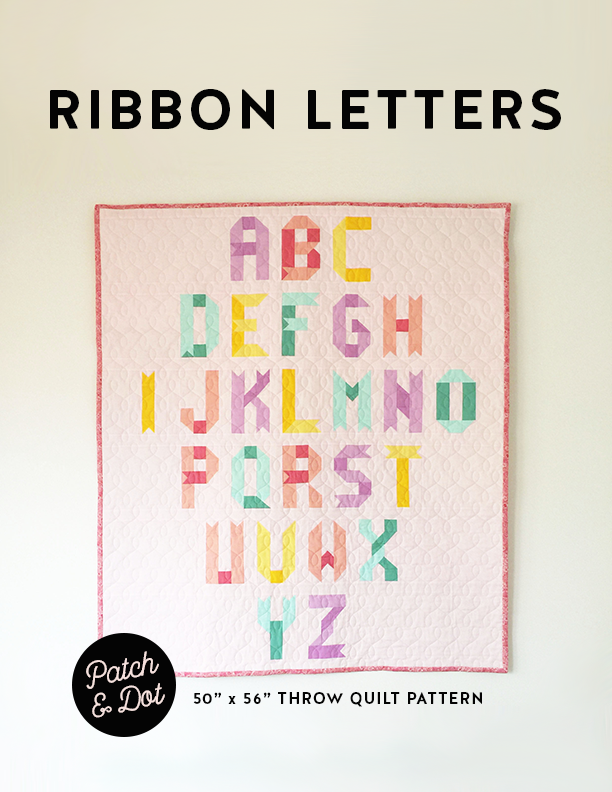 The ribbon letter blocks were inspired by a pile of ribbons with all their different shades and shadows. I’m kind of obsessed with fonts so it was fun to try and work up an entire alphabet’s worth of quilt blocks using patchwork squares. And it’s a good pattern for beginners because the HST squares are generously sized, meaning there’s lots of wiggle room when it comes time to crop them. If you make a set of ribbon letter blocks I’d love to see them, so please leave a link in the comments, or tag on Instagram with #ribbonlettersquilt! These letters are awesome! Love the ribbon idea! Great tutorial too! Can’t wait to see what you come up with for the other letters! Thanks Jayne! I’m having a lot of fun working on the pattern. These are such pretty blocks, thanks so much for sharing the tutorial! 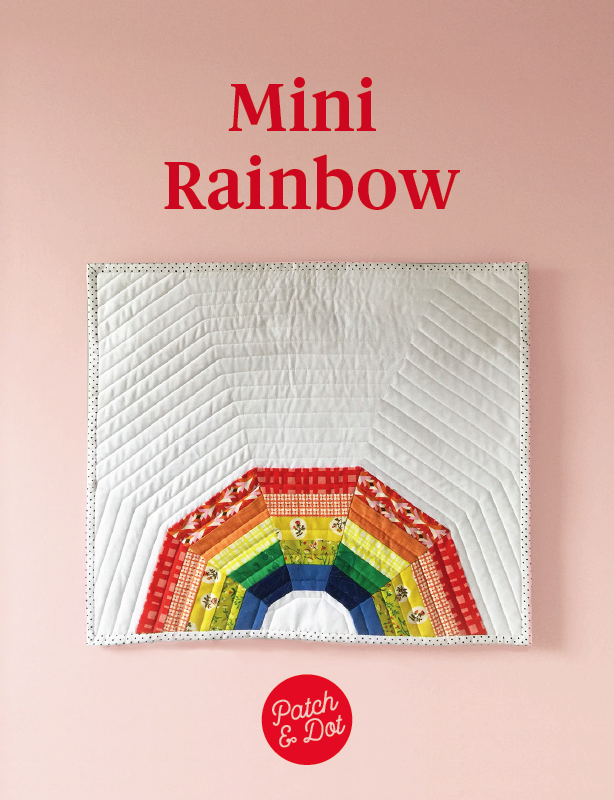 Thank you for all your work presenting this to us quilters. It will be fun to incorporate these in a quilt or make a quilt with a saying spelled out such as Happy Birthday for a birthday banner. I love that idea Diane, how great to have a birthday banner that could be used year after year!